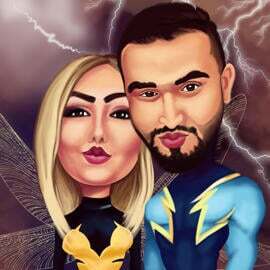 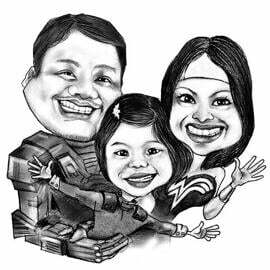 Let us create your own superhero story by drawing your personal superhero character with distinctive name and power of your choice. Photolamus artist will create a funny caricature of group of Superheroes with individual supernatural powers or personal best qualities. 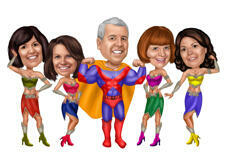 Each of the group will be hand-drawn from general photographs in full body type, with white and colored digital style. 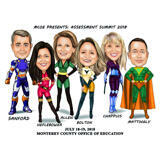 Ideas regarding pose and design of superhero costume must be mentioned in the requirements box below. 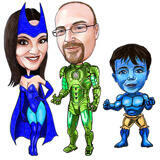 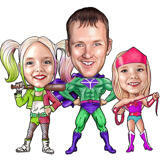 We can create any fictional superhero character, which will create further a new story. 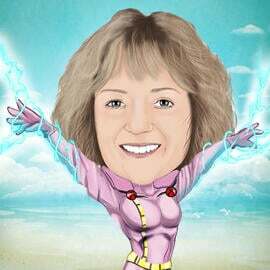 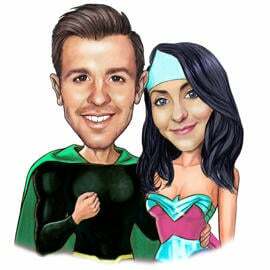 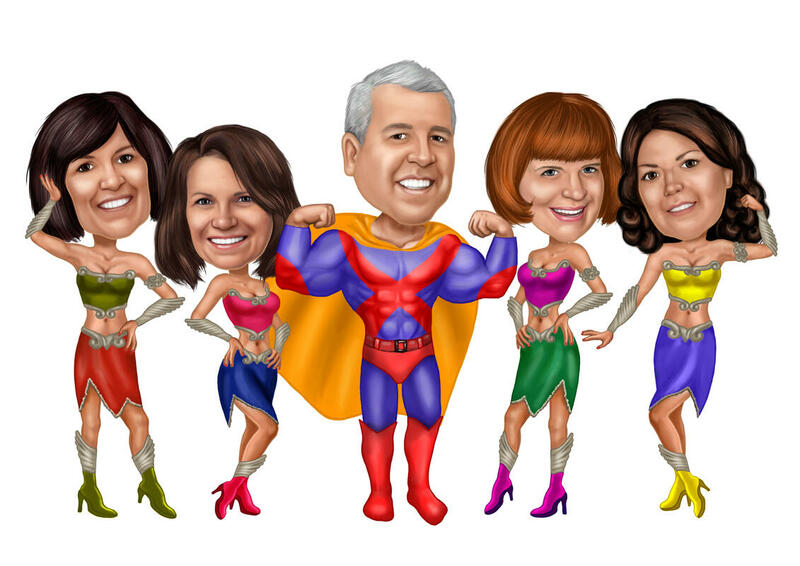 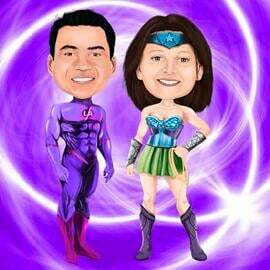 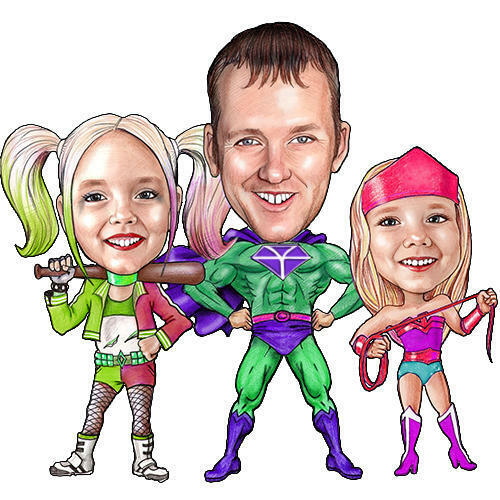 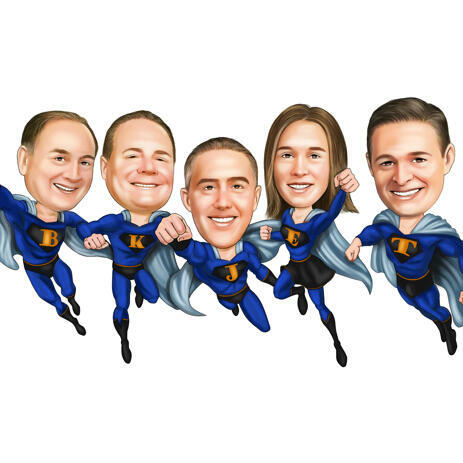 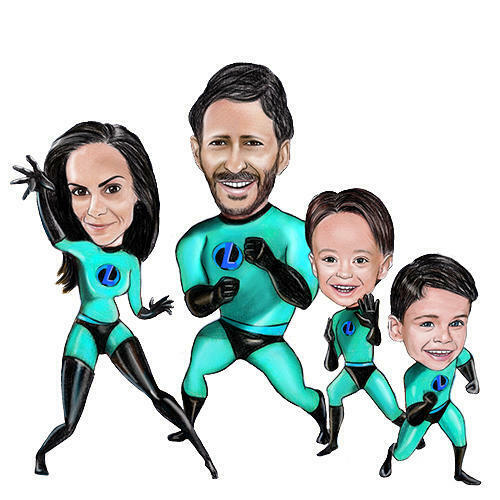 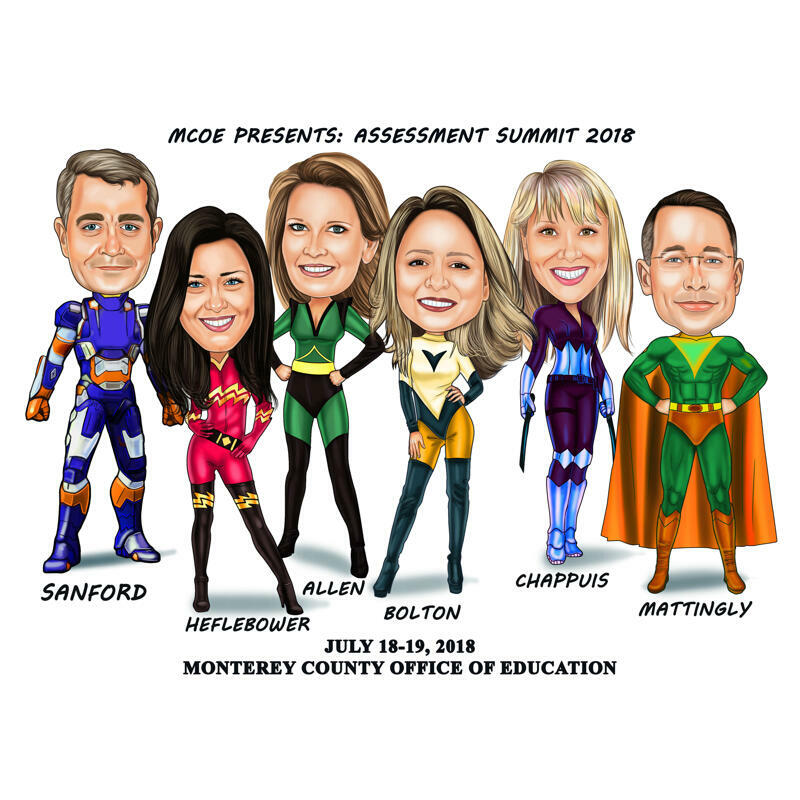 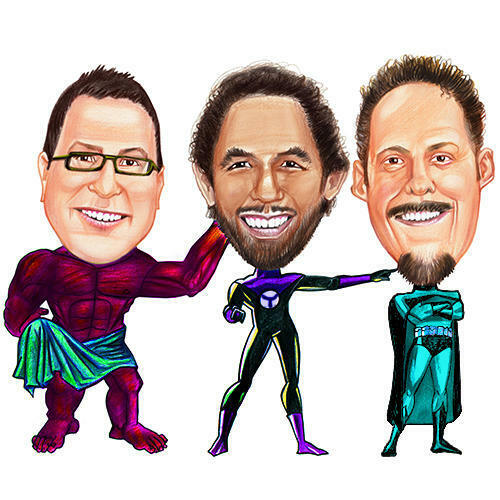 Any group of people, such as friends, family members, business partners or colleagues like teachers, doctors and managers who are working as members of a team, can be drawn in a group superhero caricature. 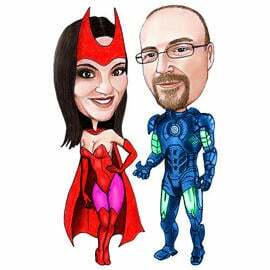 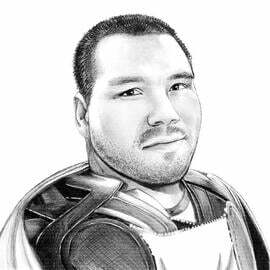 Digital Caricature will be delivered as printable JPG File of high quality on submitted Email. 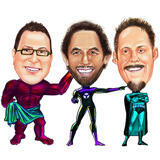 Caricature is printable on any surface. 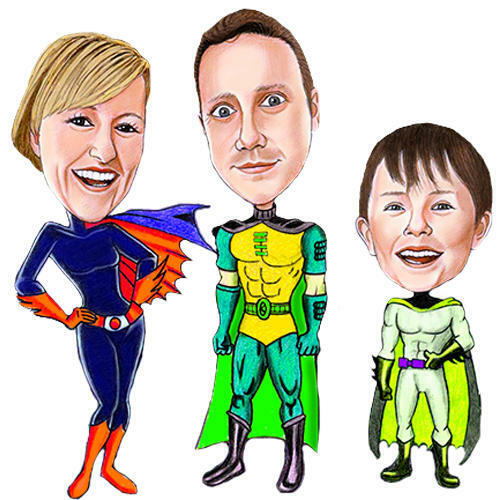 We offer additional suitable delivery options at extra cost: Caricature printed on Canvas, Photo Paper or mug. 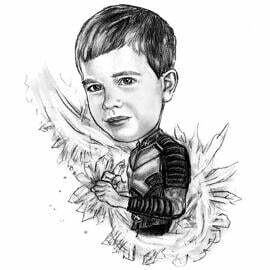 Worldwide shipping is available.